Arnav is a Program Officer at the Bill & Melinda Gates Foundation, concentrating on Philanthropic Partnerships and Policy in India and Asia. Arnav previously worked with the India Global Growth and Opportunity team where he helped develop the foundation’s India agriculture development strategy. He has also worked as a Consultant with Deloitte. 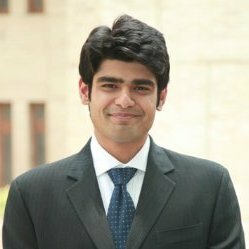 Arnav holds an MBA from the Indian Institute of Foreign Trade, Delhi. He also holds the Certified Supply Chain Professional (CSCP) certification from APICS, USA.